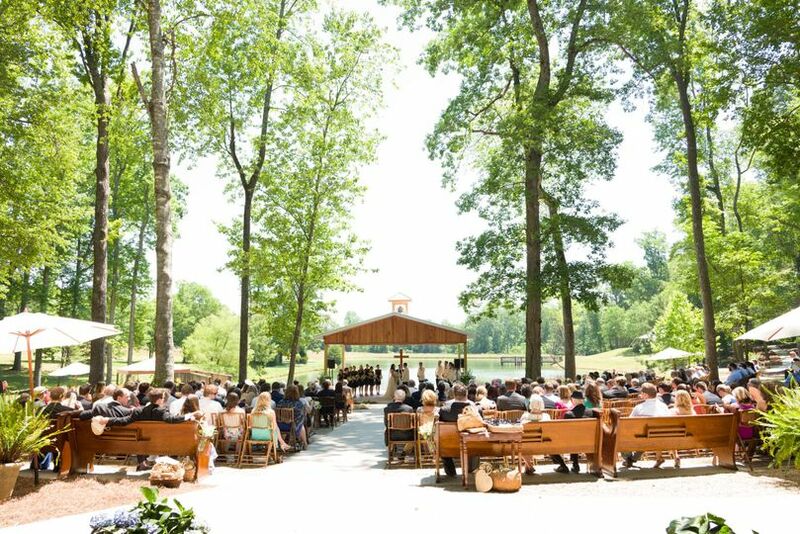 Historic Hopkins Farm is a rustic-style wedding venue located in Simpsonville, South Carolina. 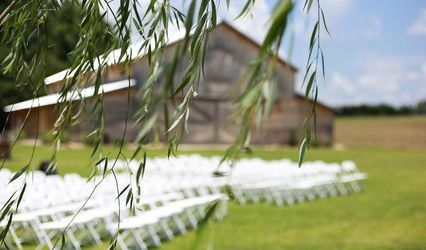 This secluded farm is filled with history and charm, and offers both indoor and outdoor options for your big day. It’s situated only minutes away from downtown Greenville, Mauldin and Fountain Inn, making them easily accessible for you and your guests. 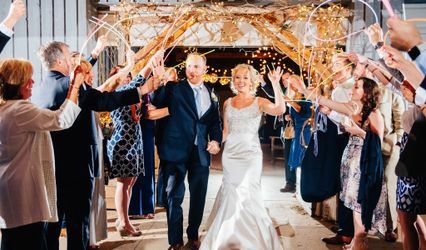 Historic Hopkins Farm, previously knowns as Timberock at Hopkins Farm, is a family-owned venue that is dedicated to making your special day unique and memorable. 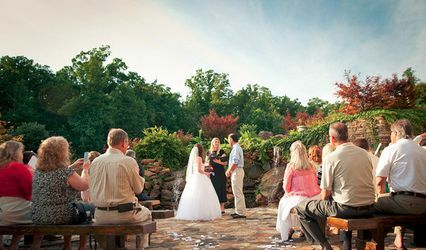 Belvedere - perfect outdoor ceremony location. It overlooks a five-acre pond, offering you and your guests breathtaking views. A tranquil, cascading stream in the Woodland Garden will serve as your backdrop. Pavilion & Gazebo - their most popular outdoor space for your reception. It features a covered pavilion, stage, dance floor and cozy fire pit. A romantic gazebo is nearby, perfect for exchanging your vows under. Dining Hall - an intimate, indoor option. This rustic hall can accommodate up to 80 guests, and features a wood-burning fireplace and an industrial-grade preparation kitchen. The entire staff at Timberock was AMAZING! They did such a fabulous job from the ceremony and reception venue to the catering. They even helped me find some wonderful local vendors to help my event be flawless. THANK YOU!! !